THERE are few footballers who had as short a playing career as Gerry Butterfield but are still talked about in revered tones more than 60 years later. 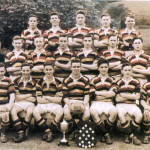 Gerry, who emigrated to the US while still a teenager, built up that reputation in a short time with his home club Mayobridge and very briefly with Down, but particularly in the colours of the Abbey. 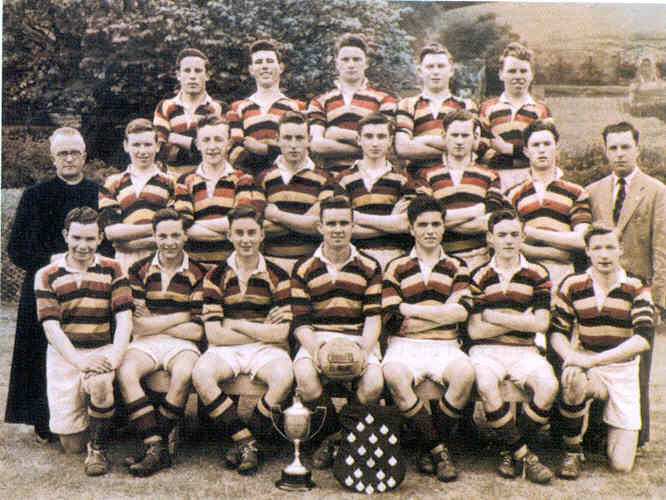 At just 17 he was a key member of the Mayobridge senior team that went through the 1953 season undefeated. And later that year, Abbey coach Gerry Brown would select him as captain of the MacRory Cup side that was to write itself into the history books by becoming the first school exclusively for day pupils to lift the famous trophy. Gerry was instrumental in the victory over St Patrick’s, Cavan by 0-11 to 1-3, with newspaper reports describing how the “centre-field pair Butterfield and Geoghegan dominated the field and strode like giants through anything Cavan threw against them”. Future Deputy First Minister Seamus Mallon, who also played on the winning team, remembers a player of exceptional talent. “Gerry was one of the most natural footballers I ever saw. He had all the skills – he could catch, kick but he also could see tactically where the ball should go. He had great posture on the ball and his whole body movement was fluid,” he said. 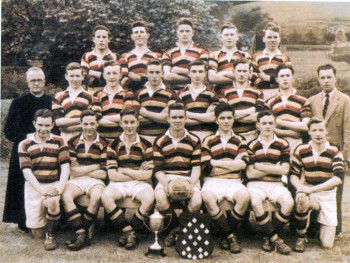 Kevin O’Neill also played on that team and later with the Down team that won the ’60 and ’61 All-Irelands and I have no doubt at all that Gerry would have been on that team. Gerry Butterfield, a US Army veteran, died aged 83 on November 9 in Cleveland, Ohio. Predeceased by his wife Rita, he is survived by his eight children and brothers Pat, Desi and Eamon.